Most inorganic solids are polycrystalline, including all common metals, many ceramics, rocks and ice. The extent to which a solid is crystalline (crystallinity) has important effects on its physical properties. Polycrystalline materials are made of crystallites. A crystallite is a small or even microscopic crystal which forms, for example, during the cooling of many materials. The orientation of crystallites can be random with no preferred direction, called random texture, or directed, possibly due to growth and processing conditions. Fiber texture is an example of the latter. Crystallites are also referred to as grains. The areas where crystallites meet are known as grain boundaries. Polycrystalline or multicrystalline materials, or polycrystals are solids that are composed of many crystallites of varying size and orientation. While the structure of a (monocrystalline) crystal is highly ordered and its lattice is continuous and unbroken, amorphous materials, such as glass and many polymers, are non-crystalline and do not display any structures as their constituents are not arranged in an ordered manner. Polycrystalline structures and paracrystalline phases are in between these two extremes. The texture is the distribution of crystallographic orientations of a polycrystalline sample. A sample in which these orientations are fully random is said to have no distinct texture. 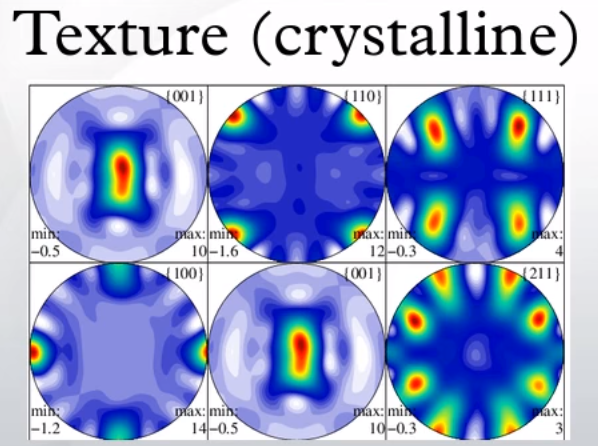 If the crystallographic orientations are not random, but have some preferred orientation, then the sample has a weak, moderate or strong texture. The degree is dependent on the percentage of crystals having the preferred orientation. Texture is seen in almost all engineered materials, and can have a great influence on materials properties. 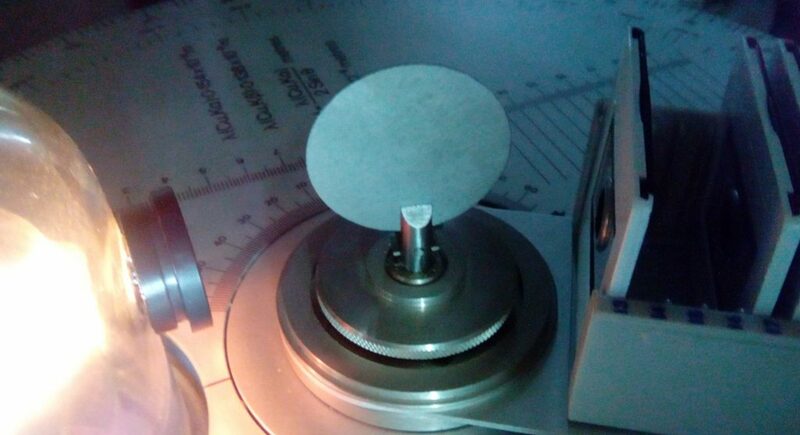 Fiber orientation, Texture, Crystallinity can be analysed by means of X-Ray Diffraction. As an example of polycrystalline material without structure we took a beryllium disk, shown in the image below, and we obtained the transmission Laue diffractogram, shown in the image below. 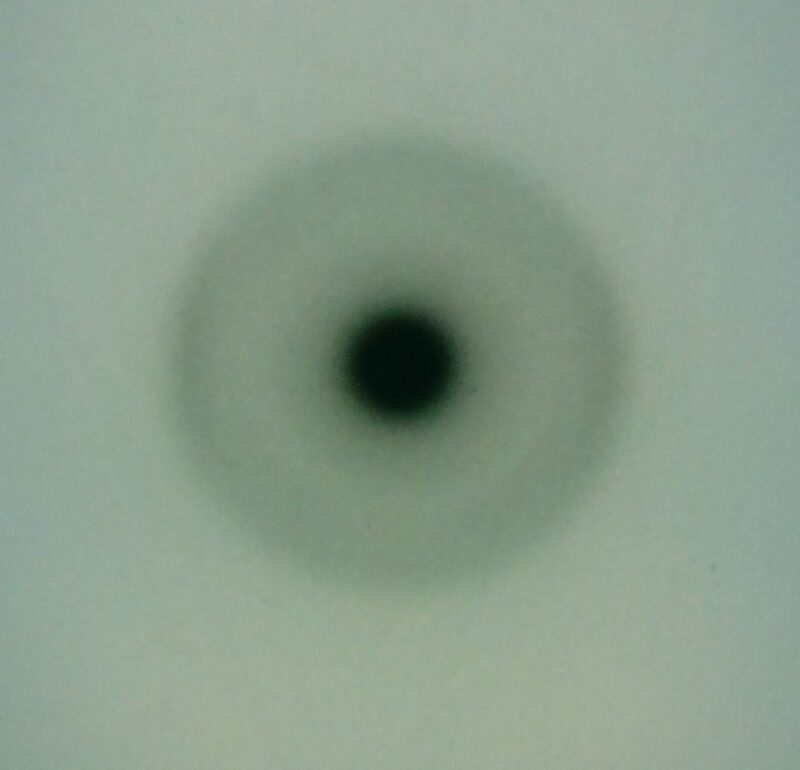 The result obtained is a concentric ring of almost uniform intensity, produced by the diffraction of the crystallites, of which the material is made. The fact that the intensity is uniform throughout the circle means that crystallites have random orientation and therefore diffraction occurs at all angles. A material of this type has no texture. 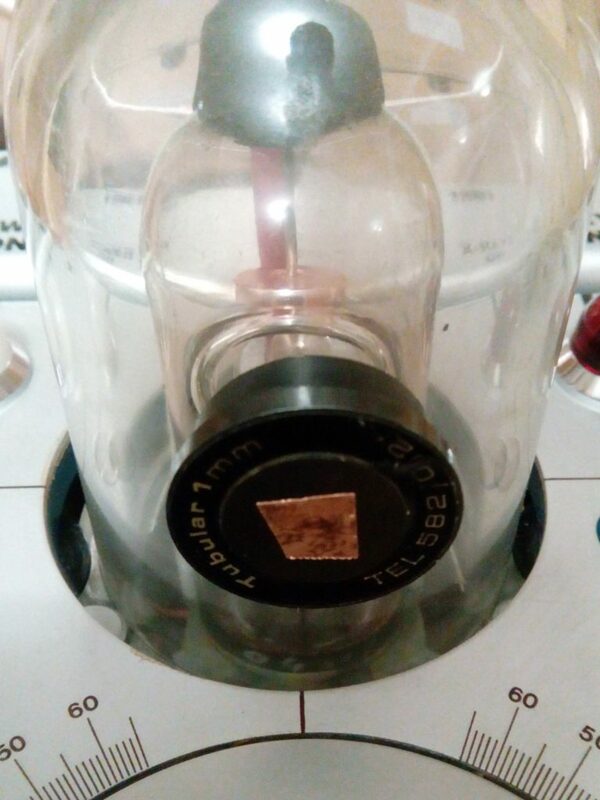 From the obtained diffractogram we can also derive an indication of the crystallites dimensions : the fact that the halos are uniform and the single spots are not visible means that the crystallites are very small. On the other hand, if the grains were larger, the spots produced by the diffraction of the individual grains would be more evident. 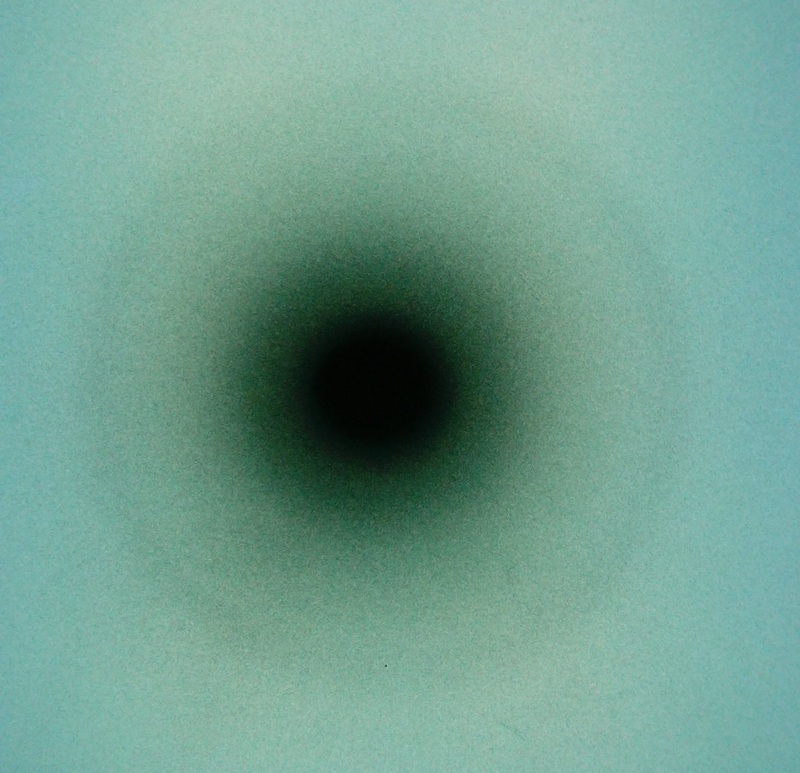 The image below is the Laue diffractogram of a Nickel thin sheet. 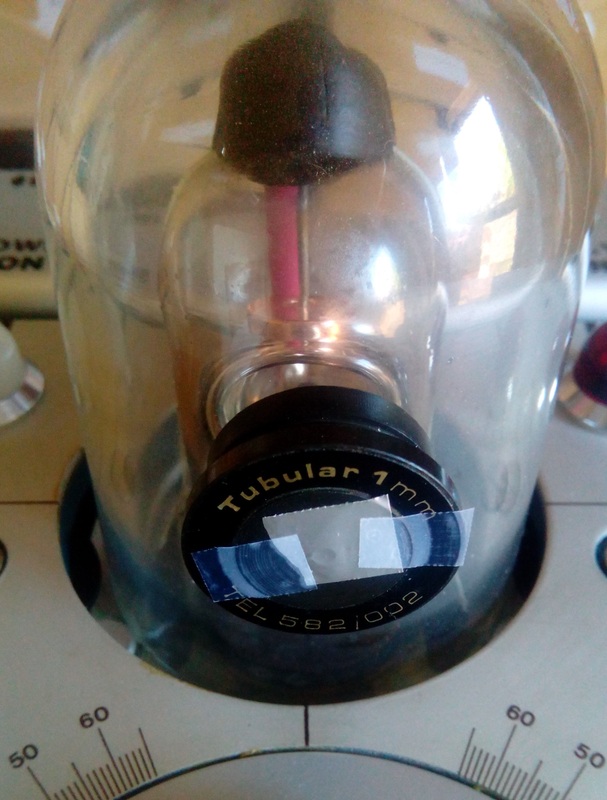 The uniform concentric ring produced by the diffraction of very fine-grained crystallites is clear. The image below is the Laue diffractogram of a Zinc thin sheet. 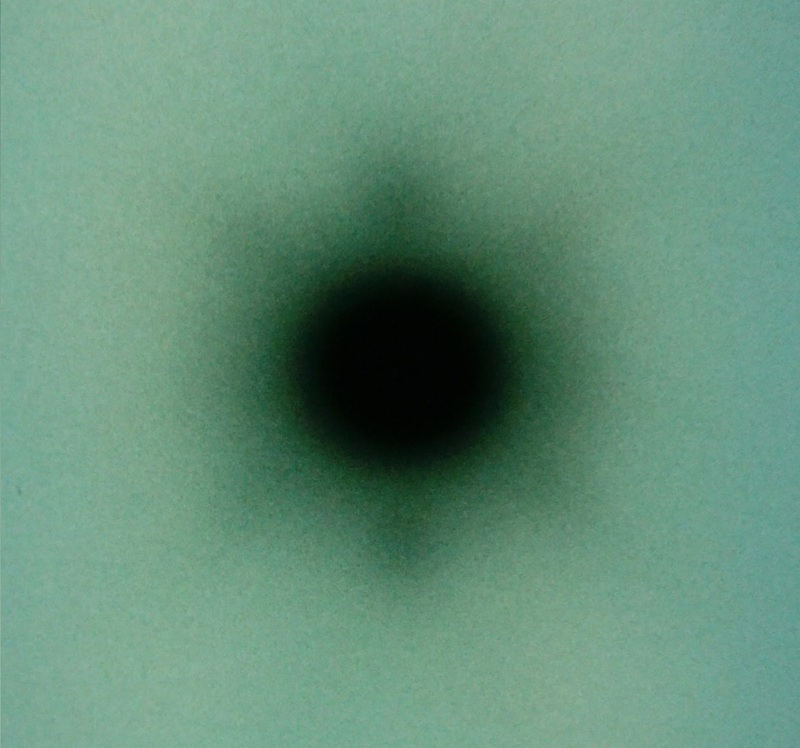 The individual diffraction spots produced by coarse-grained crystallites are evident. There is no evidence of the presence of preferential orientations. We present cases of materials that have a certain degree of orientation of crystallites. Often the orientation of crystallites is obtained as a result of metal processing processes such as rolling or extrusion. We have examined with Laue technique a sample of aluminum foil, probably obtained by cold rolling. The images below show the measurement set-up and the diffractogram. 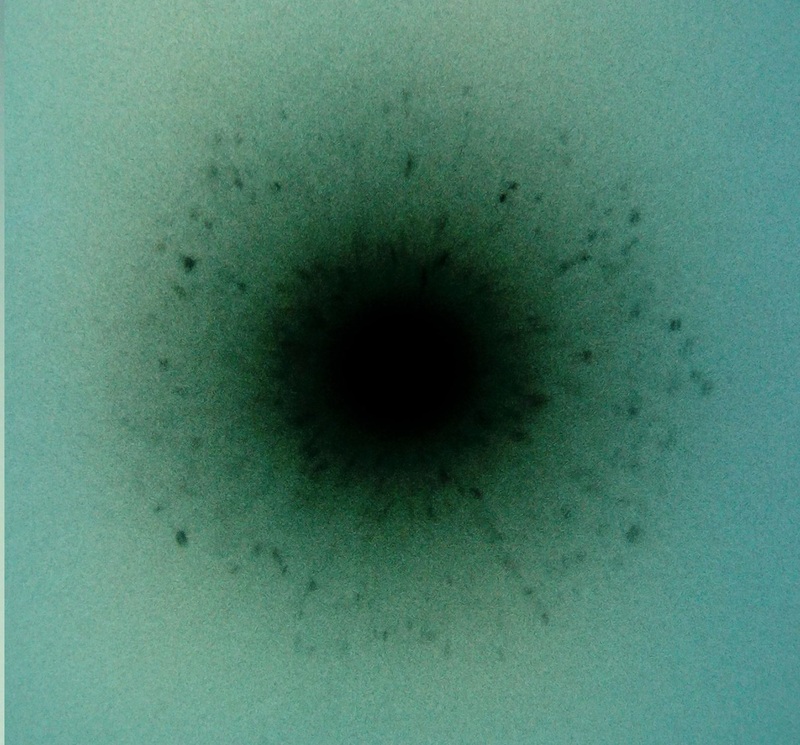 Diffraction spots on the two sides of the transmitted beam center can be seen from the diffractogram. 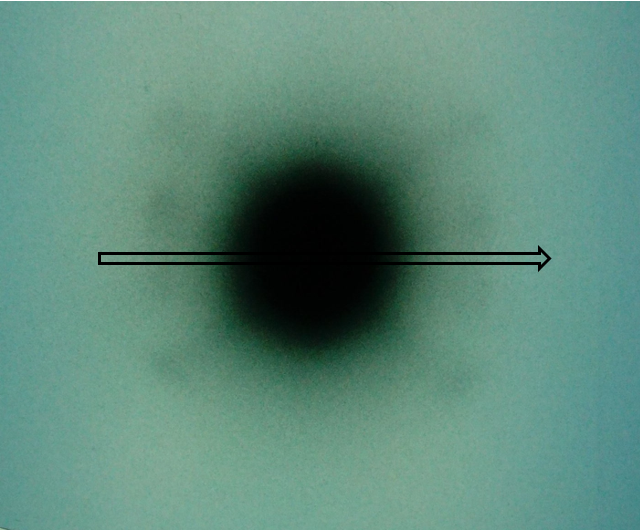 The presence of these diffraction spots, instead of a uniform ring, identifies a preferential direction of orientation of crystallites, probably coinciding with the direction of rolling. We have examined with Laue technique a sample of copper foil, probably obtained by cold rolling. The images below show the measurement set-up and the diffractogram. The diffractogram is interesting because it highlights the presence of numerous well-defined diffraction spots: a sign of the presence of coarse-grained crystallites. 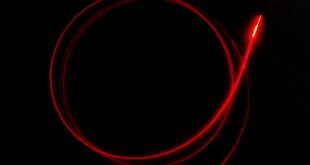 In addition, the spots are not uniformly arranged in a ring but are concentrated in defined directions, which probably correspond to the deformation directions to which the material has been subjected. We have examined with Laue technique a sample of thin sheet of manganese, probably obtained by cold rolling. 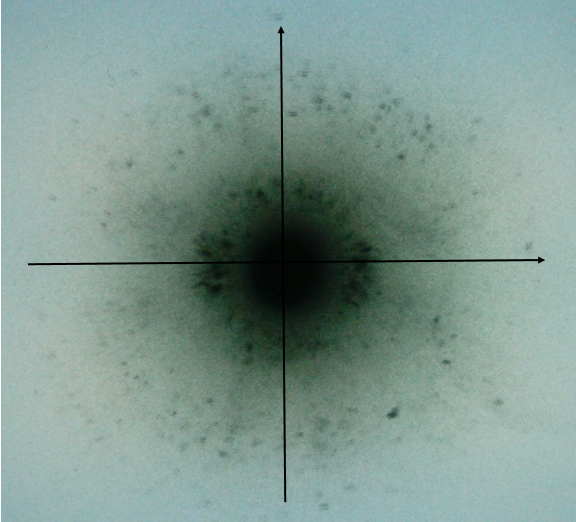 The image below shows the diffractogram, in which we can see the presence of some preferential orientations.